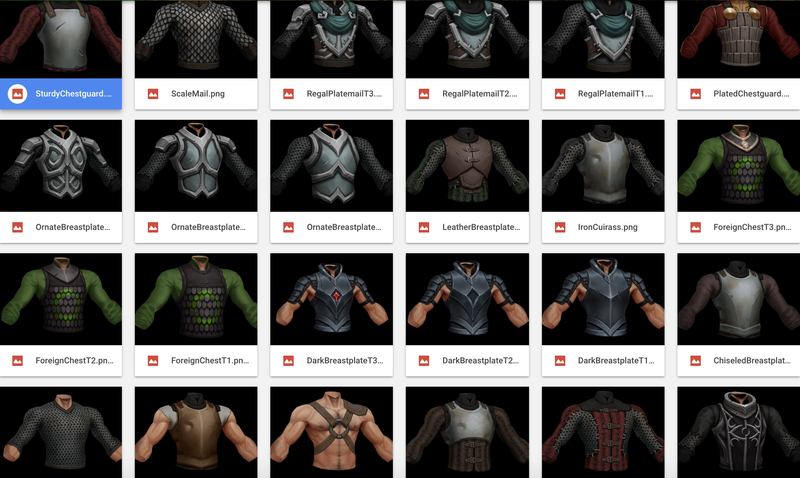 In the most recent Dev Update, I shared an array of the Warrior chest pieces we're working on (reposted here) to illustrate how we're thinking about the showing or sharing of everything you can find in the game. The question we're asking ourselves (and now you) is whether a gallery, a database or something similar is of interest to players, and if so, what form should it take? Yes. I would be interested in both gallery and database. Some level of details would be good but not to slow the game down. Set something up similar to wow-head or whatever it used to be called?